(Reuters) - Tesla Inc's (TSLA.O) board of directors is seeking more information from CEO Elon Musk about how his plan to take the U.S. electric car maker private for $72 billion will be financed, according to people familiar with the matter. The board's request for more details adds to the scrutiny that Musk's proposal is facing from investors and regulators. The U.S. Securities and Exchange Commission has already contacted Tesla to ask about Musk's assertion on Twitter that funding for his proposed deal was "secured", the Wall Street Journal first reported on Wednesday. While Tesla's board has held multiple discussions about the proposal, it has not yet received a detailed financing plan from Musk, nor specific information on who will provide the funding, one of the sources said. The board expects to make a decision on whether to launch a formal review of Musk's proposal in the coming days, and is speaking to investment bankers about hiring financial advisers to assist it in its review in such scenario, the sources said. In a statement on Wednesday, Tesla's board said its discussion with Musk "addressed the funding" for the deal, without offering more details. If the board launches a formal review of Musk's bid, he would have to recuse himself, or a special board committee would have to be formed, according to the sources, who requested anonymity because the deliberations are confidential. Musk announced on Twitter on Tuesday that he was considering taking Tesla private for $420 per share, in what would be the biggest deal of this kind. After jumping to close at $379.57 on Tuesday, Tesla shares have since fallen about 7.0 percent to end at $352.45 on Thursday, amid investor skepticism over the proposed deal. Musk has also said he would be looking to keep his ownership of Tesla at around 20 percent, and that a special purpose vehicle, like the one that exists at his aerospace company SpaceX, would allow Tesla shareholders to remain invested if they so choose. Investment bankers and analysts reacted with skepticism, telling Reuters it would be hard for Musk, whose net worth is pegged by Forbes at $22 billion, to raise the equity and debt financing needed for the deal given Tesla is not turning a profit. Some analysts have suggested that Musk could convince Tesla's top shareholders, such as Fidelity Investments and China's Tencent, to roll their equity stakes into the deal, thereby significantly reducing the amount of money needed to be raised. However, the deal structure would come with big logistical and legal challenges when it comes to buying out smaller shareholders, analysts have said. 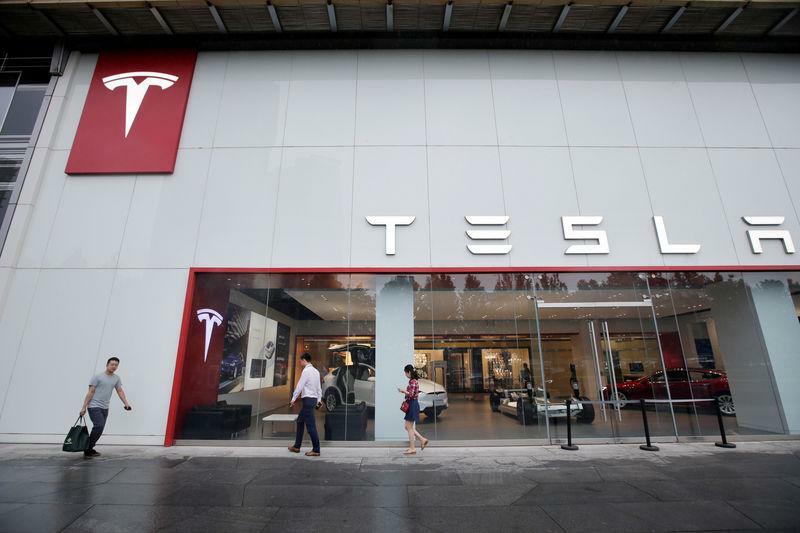 Saudi Arabia’s Public Investment Fund (PIF) has taken a stake of less than 5 percent in Tesla, a source familiar with the matter said on Tuesday. It is not clear if PIF is interested in financing Musk's proposed take-private deal.